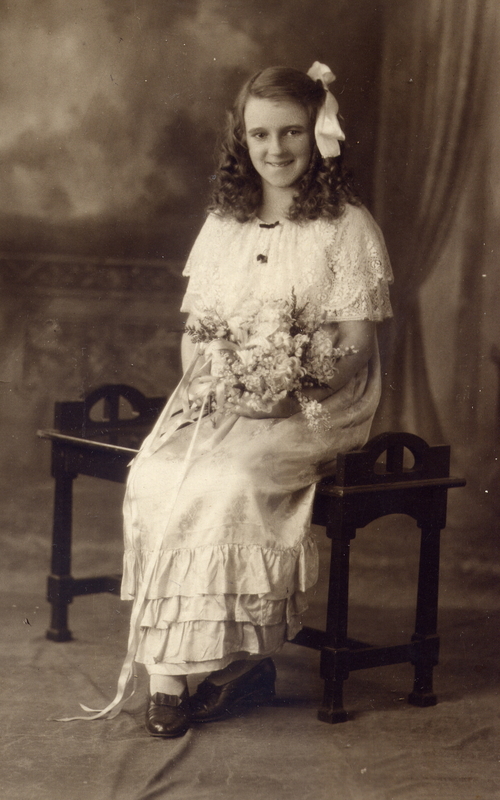 Today, 113 years after she was born I am remembering my wonderful Nanna Duncan by reposting this blog post from March 2010. My grandmother Ethel Jane Pusell had a new house in which to raise her family. 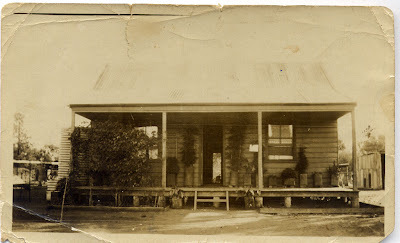 When my grandfather, Frank Duncan, returned from the WWI he was able, through the Soldiers Settlement Scheme, to gain a grant of Crown land on which he built a house for his bride, Ethel. In this first photo from the 1920s Ethel is pictured with one of the five daughters she had with Frank. I think it may be my mother. The 32,000 acres of land on which the simple timber house was built on the property "Elsinore" was 40 miles west of Cobar NSW. In 2010 this is a remote area, nearly 90 years ago it was extremely remote. Cobar, the nearest town, was a long carriage ride over rutted, red, dusty roads. Sydney and the coast was 700 km away. Life was tough, there were droughts, bushfires and loneliness. My grandmother never complained about her lot in life; the stories she told of her early life were laced with the good humour with which she would have faced life at "Elsinore". Frustration now sets in when ever I start to write an article for publication in a printed format. I have become used to writing for digital publication and I just love that I am able to include links to other resources that provide my readers with additional information or clarification of subject specific terminology. When I am reading in an eformat I relish the extra information I am able to glean from following such links. I have written recently that I am a tangential genealogist who regularly strays off my chosen path to follow links or leads. The purpose of this post today is to encourage you all to move off that straight and narrow path that you have chosen when doing your genealogy research. Take some time to stray from that path and move laterally by following the links in online articles that you read. You don't know what treasure you will unearth by engaging in some Link Love. 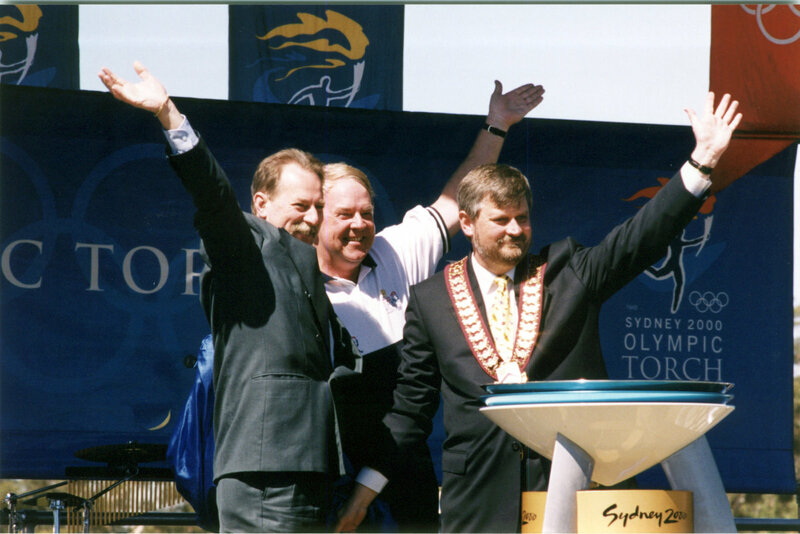 Having watched the Opening Ceremony of the 2012 London Olympic Games this morning I have been taking a trip down memory lane to September 2000 and the wonderful Games in Sydney. At the ten year anniversary of the Games I shared on this blog some of my Games memories. I'll repost these as since 2010 when I posted them I have dredged up a few more blog followers. The posts on this blog may be few and far between over the next couple of weeks as I get my four yearly dose of Olympic Fever. I have just been reminded on a current affairs program that ten years ago was a special time in Sydney. In September 2000 our city hosted the Olympics. It was a magical time in our beautiful city, there were crowds everywhere but the atmosphere was one of bonhomie. 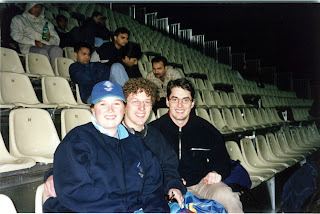 At that time I was a teacher at MLC School in Burwood and had volunteered months before to chaperone a group of our students who would be performing in the opening and closing ceremonies of the games. Together with the students I gave up a number of weekends and evenings to attend rehearsals at venues around Sydney including an abandoned airfield at Schofields. I had in 1999 entered the lottery to buy tickets for the sporting events. After the ballot we found ourselves several thousand dollars poorer but armed with tickets to athletics, hockey, water polo, wrestling, kayaking, table tennis, tennis amd more. 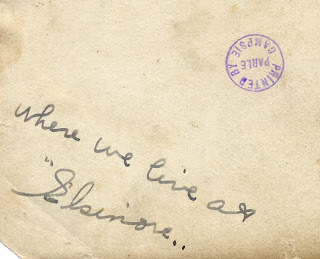 The tickets were shared amongst members of the family ; we had what would today be called a staycation. Our youngest daughter had been lucky enough to get, through university, a paid position with SOBO at the Tennis Centre. On this day 13th September 2000 I have written in my diary "to MLC to collect Opening Ceremony tickets". As a volunteer I was given two tickets to the Dress Rehearsal of the Opening Ceremony. Following that I attended a local Torch Relay Function "to Torch relay celebration at Pennant Hills. It's hot and dusty and we can't see a thing from the VIP area!!" 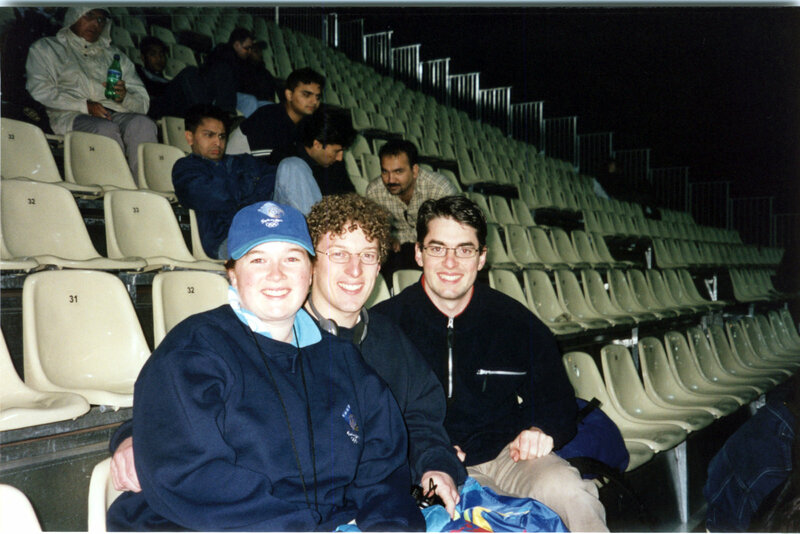 I had also managed to procure a couple of extra Dress Rehearsal tickets so with Mr Geniaus and a couple of our offspring we set off by train "to Opening Ceremony Dress Rehearsal at Stadium Australia." I recorded my impressions of the Olympics in a series of posts on a listserv to which I belonged. In the coming days, as Australia remembers, I will repost these on my Geniaus blog. "Last night I joined 100,000 or so lucky Australians to witness the culmination of the kids' efforts when I attended the Final Dress Rehearsal for the Opening Ceremony. The only bit we missed out on was the lighting of the cauldron otherwise it was as it will be on Friday. It was awesome - the atmosphere in the stadium was electric - the patriotism displayed by the audience was something that, to date, I've only witnessed in the U.S. and our MLC girls and the other thousands of performers did a magnificent job." "I just went to the supermarket to buy food for our picnics at the Olympics (I'll be at an event every day) and as the food at Olympic Park is outrageously expensive I'm packing sandwiches, drinks and snacks. While I was in the supermarket I met an American lady (guess why she's in Sydney?) who wanted to buy tinned pumpkin - her Aussie male companions were trying to tell her that one cannot buy this in Oz but it needed this Aussie Mum to convince her that it's not available. What would she use tinned pumpkin for - is it for pumpkin pie? Our varieties of pumpkin are different over here - we serve pumpkin as a vegetable (yummy with roast meat) and I always give visiting Americans pumpkin soup. Did you see Nikki Webster, the little 13 year old star, in the Opening Ceremony? Guess who used to be her librarian? Me. Nikki, who is now in Year 7 at a private Performing Arts School - McDonald College which is even closer to Olympic Park than my school MLC, was a student at MLC in Years 4 and 5. She left MLC as McDonald College was more able to satisfy her special needs. She was and still is a sweet little girl with a lovely Mum. Nikki has recently performed in professional performances of Les Miserables and The Sound of Music in Sydney. I saw her in both these shows and was so proud to say that I know Nikki. I had a tear in my eye when I saw her fly to the sky at last Wednesday's final dress rehearsal - it was such a shock. I've been to umpteen rehearsals for "Southern Skies" (the segment in whch she sang) but as the kids rehearsed to a tape I didn't know Nikki was the star until Wednesday. Must go to watch the swimming on the TV - husband and kids have gone to the hockey - I'm pleased that I can stay home and watch the Thorpedo swim." I just tuned into a webinar hosted by the Florida State Genealogical Society. The purpose of this webinar was to promote the upcoming State Conference in Florida. What attracted me to this event was that two of my favourite presenters from the United States, Thomas MacEntee and Curt Witcher, were to be members of the webinar panel. As this webinar was free I applied to take part and am most grateful to the Florida State Genealogical Society for allowing me to join the event. It was the first time I had joined a webinar that did not present a lecture or tutorial. In this webinar the four panellists panellists: Thomas, Curt, Ann Staley and Deanna Ramsey provided answers to questions posited through the chat facility of the webinar software. I asked and received answers to 2 questions that I posed and was pleased that the answers given supported some decisions I have recently made and advice I have recently given to a genealogy society. Curt suggested that a tablet is an essential tool for the 21st century genealogist. Thomas suggested that one must have a research log. Ann told us about a genealogy search engine liveroots.com. Thomas mentioned a search engine, Yippy, that provides cluster results. Someone suggested that people wishing to know about DNA should try to attend a webinar or course conducted by Thomas Shanker. Deana said that she is Facebook stalker who friends every distant cousin she can find on Facebook and religiously records in her family history software announcements of family events they post on Facebook. It was indicated that when he gets a brick wall Thomas takes the FAN approach and looks at Friends, Associates and Neighbours of the people he is hunting will stop. All presenters agreed that genealogy societies should have a social media presence. They indicated that a Facebook page and a blog were essential. Three of the four presenters use spreadsheets as organisational tools. After the webinar formalities were concluded and I posted a thank you from downunder the organisers unmuted my mike and we had a few pleasant moments talking about how I found the webinar (social media) and what I thought of the panel approach. It was a great application of the webinar software. Once again I thank Florida State Genealogical Society for allowing me to join in. I only wish I could attend the conference in person but sadly I won't be in Florida again until April 2013. 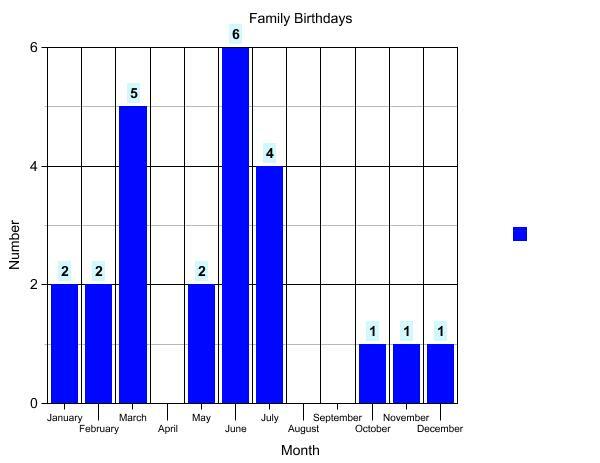 Are the birthdays in your immediate family all clustered together, spread out evenly throughout the year or in a few clusters? Having just finished another June/July birthday season I thought I'd look at the spread of birthdays for our close family members. I'm looking at myself and Mr Geniaus, our parents, our children, their spouses and our grandchildren. That's 24 birthdays, two of which are shared. This simple graph shows where our birthdays fall. 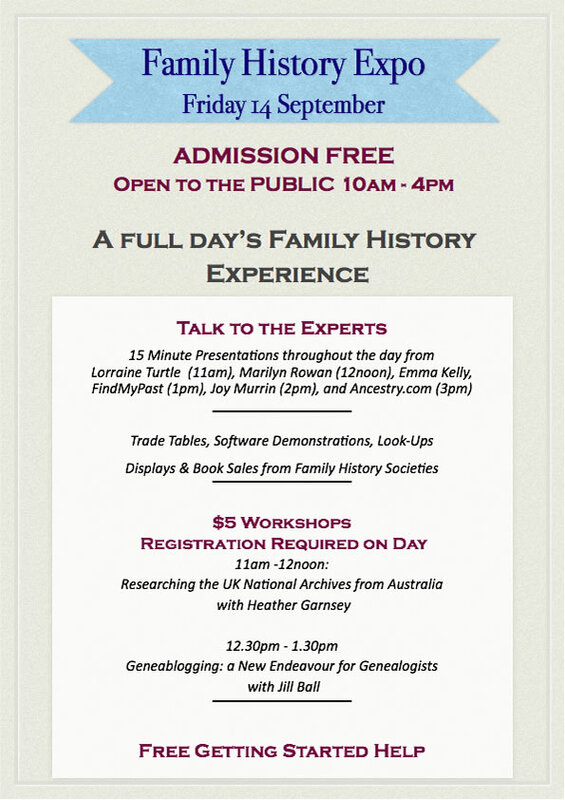 In conjunction with the 28th Annual Conference of the NSW & ACT Association of Family History Societies to be held in September in Gymea there is to be a Genealogy Expo with free admission to the public. There will be a number of short free talks during the day plus there will be two talks (one by me) with an admission fee of just $5. I have heard of one genealogy society that is hiring the local Council bus to transport a load of genies to the Shire for the day. It will be a great day out. Details can be found on the image below. Kiva Genealogists for Families team members come from many countries including Australia, Canada, Czech Republic, England, Ireland, Netherlands, New Zealand, Peru, Scotland, Spain and the United States. Our team motto is "we care about families (past, present and future)." On our team blog http://genfamilies.blogspot.com.au/ that is maintained by team founder and leader, Judy Webster, you can read all about the project and its history. There you will also find some biographies of team members. Please take some time to read these and discover why genealogists have joined our group. Kindness of team members has resulted in over $20,000 dollars of loans being made to members of families in third world countries. Kudos to our leader, Judy, who is the lynchpin that ensures the success of our team. This is a post about technology. It demonstrates how social networking can be harnessed for good, team members have used Facebook, Blogger and the social functions of the Kiva site to reach out to others. If you can rustle up $US25 please follow this link and join the Genealogists for Families team on Kiva . 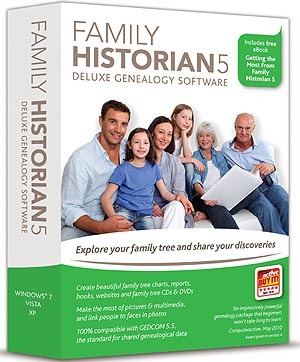 I guess it helps that my knowledge of The Family Historian software package is rudimentary so I have lots to learn. Yesterday I hit the jackpot. I pointed the Bambino in the direction of Wyong and motored up the F3 freeway for the Wyong Family History Group Family Historian Interest Group (that's a mouthful) meeting which turned out to be a workshop lead by the very knowledgeable John Owen. On arrival I was welcomed warmly and made to feel at home by John and the group. I think there were around 8 others in the group and more than half of us had our laptops with us. After going over last month's homework (where I learnt some valuable new tricks) John launched into a demo of today's tasks that involved setting up various customisations in our databases. After the demo we all tried to apply our new learning with John fielding our questions and guiding us. This is a fabulous way to learn - much more effective than some "chalk and talk" lecture or learning from a set of printed notes. I now need time to modify my software and add some of the bells and whistles John demonstrated. A major outcome for me in the light of what I learnt today is that my decision to change to Family Historian was further justified. My previous program was known for its facility to be customised. Family Historian is similarly customisable plus it has other features that make it attractive to me. Thanks, John and members of the Wyong Family History Group Family Historian Interest Group, I had a fab afternoon. I'll be back next month. It's great to hear that some people from overseas are joining the 3rd Unlock the Past Genealogy Cruise next February. I received a message from a genealogy contact " XXXXX has asked me for suggestions re accommodation in Sydney before and after the above cruise. His preference is downtown prior, and maybe near the beach after. As I am more QLD'er than NSW re this thing, if you could offer him some suggestions, I would appreciate it." For someone with an unlimited budget who has never been to Sydney there is one standout option. It is the Park Hyatt on the Harbour Foreshore in Sydney Cove in the shadow of the Harbour Bridge. I stayed there once for a birthday treat and it was awesome, I was able to repose on the bed, sip my Moet, and look across the bay to the Opera House while watching the Sydney ferries coming and going. For the budget conscious traveller the Travelodge Sydney Hotel is a 3 star property that I have stayed in. It is down a side street just a couple of hundred metres from Hyde Park. The Travelodges at Wynyard and Phillip Street are also conveniently located. Tripadvisor has reviews of Sydney Hotels but check where the hotels are on a map before proceeding with a booking so as to avoid the more dodgy areas of the city. At present the number 1 hotel on Tripadvisor is at Potts Point (Kings Cross area)! Lastminute.com, Hotels.com, Wotif.com and similar sites offer great last minute offers. Audrey Collins, on her recent trip to Sydney, snagged a room at the Radisson with a partial view of the Harbour Bridge at a really great rate. What does one do for the five hours it takes for one's Bambino to have her checkup? The problem with owning a special little car is that, even in a big city like Sydney, there are only a couple of Fiat service centres and they are nowhere near my home. 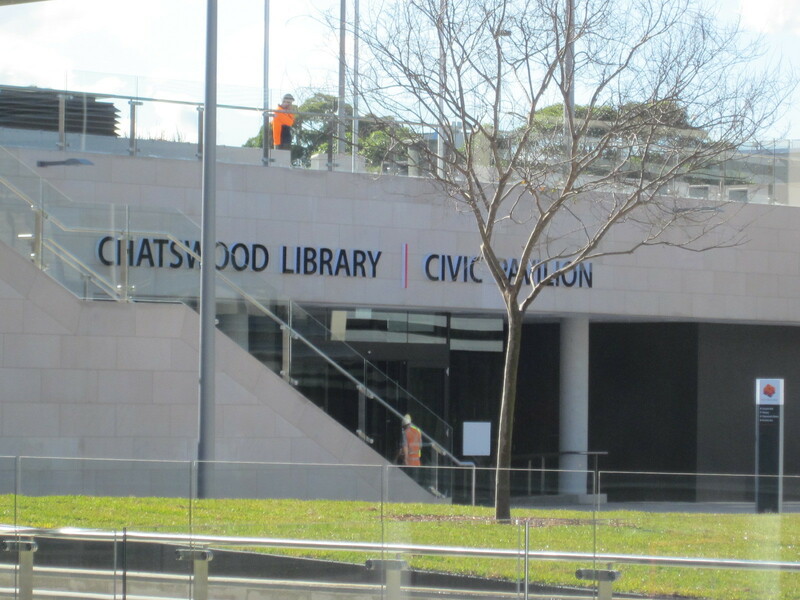 As I didn't feel like spending 5-6 hours in the well-appointed service centre customer lounge I took the option of their shuttle transfer to Chatswood. What does any self-respecting genealogist do? Head for the local library of course. I am feeling a little like a rabbit down a burrow as I sit in this new facility that is part of Willoughby City's new Concourse development. To access the library I climbed up a set of stairs from the street to a foyer. Once there I was faced with another long set of stairs or an elevator to go down to the library on the lower ground level. I wonder if there is direct access from the street? I came across a sale of discarded library books in progress in the library foyer where I was able to pick up a travel guide (only 5 years old) to Warsaw for just $2. I need to read a bit about this city before my visit later in the year. This was a good start for my visit. The library is basically a large rectangle built around an atrium (described as a light and water court on the Council site) that allows natural light to filter in to the lower ground location. The ceilings in this 5000m2 building are high so the area feels more than spacious; as there is plenty of room for planned growth the space seems cavernous and empty from where I am sitting. 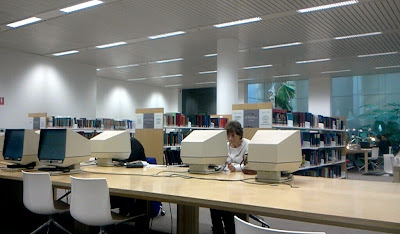 As I entered the foyer the library appeared to be buzzing with activity, I could hear children's noise, there were people reading newspapers at large tables, people browsing the shelves and using the computer terminals. As well as bookable study/seminar rooms there is a variety of seating options available from beanbags and couches to hard plastic chairs, one of which is cutting into my thighs. The library's website tells me that there is a local studies section but I did not find it on my first circuit of the facilities, I haven't spotted too much signage around the library or any maps of the facility but these way be on the way. Just as I was making my way to the Local Studies area the service centre called to say my car was ready. I had a squizz at the Local Studies area, sent out this quick tweet " Feel like I am in an underground bunker in the Local Studies section of @willoughbycity Chatswood library ‪#genealogy‬" then hightailed it back to my little jalopy. While it was a pleasant place to spend a few hours this library hasn't got the WOW Factor. Wyong, to the north of Sydney, is about an hour's pleasant drive from my home via the F3 Freeway; it is actually more convenient for me to travel there than into Sydney's CBD. My quest for CGD will be taking me to Wyong this week when I attend The Family Historian Interest Group Meeting at The Wyong Family History Group. As a new user of this program I was thrilled when I found that there was a user group within cooee of my home. The topic for this meeting is The Property Box : Adding Tabs; adding items to a Tab: I know I will learn something from this event as I am yet to explore many of the features of the wonderful Family Historian program. On a future jaunt to Wyong I will be dispensing CGD when I present a talk as part of the Wyong Library's Family History series. 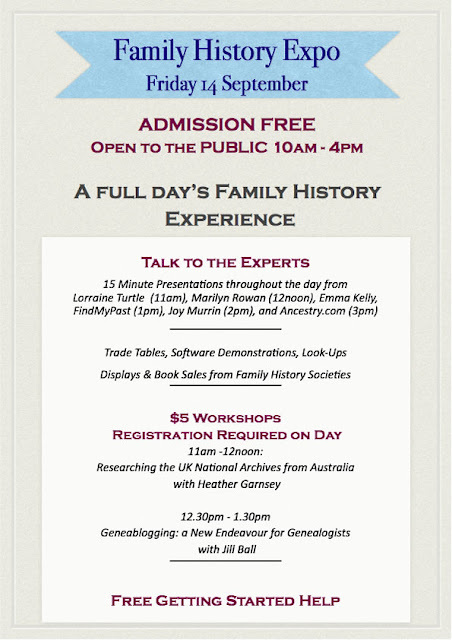 On 26th September at 10:30 am I will be chatting about one of my pet topics Social Media for Family Historians. I'll demonstrate tools that allow family historians to connect with cousins, collaborate on projects, discuss issues, market and promote genealogy services and perform acts of genealogical kindness. When I have details for bookings I will publish them on this blog. Hopefully I'll meet up with a host of new family history contacts from the Central Coast on my planned outings. James Tanner wrote in a post today, Learning from our mistakes, about some of the errors he had made in his early research. This post was quite timely for me as over the last few days I have unearthed some errors I made in my early research. I have corrected these and uploaded the amended data to my family site. I imagine that I will continue to find errors as I recheck work done over 20 years ago. James said " Sometimes we have to "put it out there" and let the critiques fall where they may. 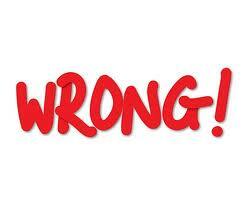 If we are wrong. We are wrong. Correct the information and move on." I agree with James. If I waited until I had it right I might never share anything. My website is a work in progress; people who copy my data to their trees and take as gospel what I have inferred do so at their own peril. My online tree, unlike a hardcopy document, is dynamic. It changes regularly as new resources come to light or helpful people who are searching for their ancestors find it and offer additions to or corrections of my misinformation. What is of concern is that several people have taken my data and published it in online trees on sites like Ancestry.com and never go back to review or amend their entries. Be warned - I make mistakes. If you have copy from my tree please do so with caution and always check sources for yourself. Earlybird registrations for the 28th Annual Conference of the NSW & ACT Association of Family History Societies close today. The conference will be held in the Sydney suburb of Gymea. If you wish to take advantage of the discounted registration I suggest that you hop onto the conference site and get registered. Tuning in to last week's Legacy Family Tree webinar with Claire Brisson-Banks provided me with a wonderful opportunity for CGD. As one of the several million Australians who has ancestors from the British Isles I was keen to take part in this webinar "The Quest for Your English Ancestors" that was held last Wednesday evening in the US. It was therefore available at the convenient time of 11:00 am for Sydneysiders like me. Most of the Legacy webinars are held in the early afternoon in the US which is in the wee small hours of the morning in Australia (not nice on chilly winter mornings). I was interested to hear Claire present as I met her at Rootstech in 2011 and 2012. She did not disappoint. Although I knew most of the things that were mentioned in the webinar it provided me with a wonderful refresher and a great scaffold for organising all of the English knowledge floating around in my head plus I learnt a couple of new things. I loved Claire's brisk pace; she did not waffle on but presented as much matter as she could in the time available. This webinar is a fantastic resource for anyone new to English research. I would commend you to watch the online recording that is available on the Legacy site until 23rd July. A benefit of watching the recording is that one can stop and start it to take notes. Make sure you watch the webinar right to the end so you can catch Claire's "Final thought". It appears that my Genimate from the Northern Territory, Pauleen Cass of Cassmob and I are on the same wavelength tonight. When I don't have time to comment on or even read a blog post I "Star" it in my RSS reader for later attention. Tonight I have been going back through a couple of months of starred posts, rereading them and adding comments to some. I hope the writers appreciate that, in the busyness of life, one cannot always read or comment on a blog post immediately. I know that I always get a buzz when I receive a comment whether it is on the day the post was published or some time down the track. Tonight I was pleased to receive a couple of comments from Pauleen on a post that was a couple of weeks old. Don't be shy - if you come across an old blog post with content that strikes a chord with you say so in a blog comment. 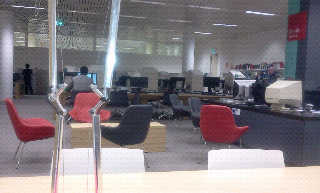 1969 was the year that I started using our State Library. My first visits were in my courting days with Mr Geniaus when we used go to the library, which was then in the historic Mitchell wing, to study together. As we both passed the courses we were studying the library must have had an atmosphere that was conducive to study. I have continued to visit the library irregularly for 43 years although today most of my visits are virtual as I can use the library's eResources and online catalogue from home. In my career as a librarian I paid many visits to the Macquarie Street wing (opened in 1988) for professional development seminars, meetings and research. I love the State Library of New South Wales and enjoy my visits in person. I was thrilled last year to take part in a week long online forum that allowed me to comment on various aspects of the library's facilities and services. I even won a gift voucher for my traoubles. Today was my first visit to the library since that forum and the refurbishment of the library's spaces (my excuse being tht I have recently spent several months out of the country). The library is looking pretty schmick with lots of white and pale grey with some red and dark gray accents and a bit of blonde timber. What is pleasing is that some of the things that were discussed in the forum have been implemented; this may have been going to happen anyway but when I looked around I felt that perhaps my contribution to the forum had helped the library powers with their planning. I was kicking myself because I didn't have a camera in my bag as I would loved to have taken some better photos for this post. 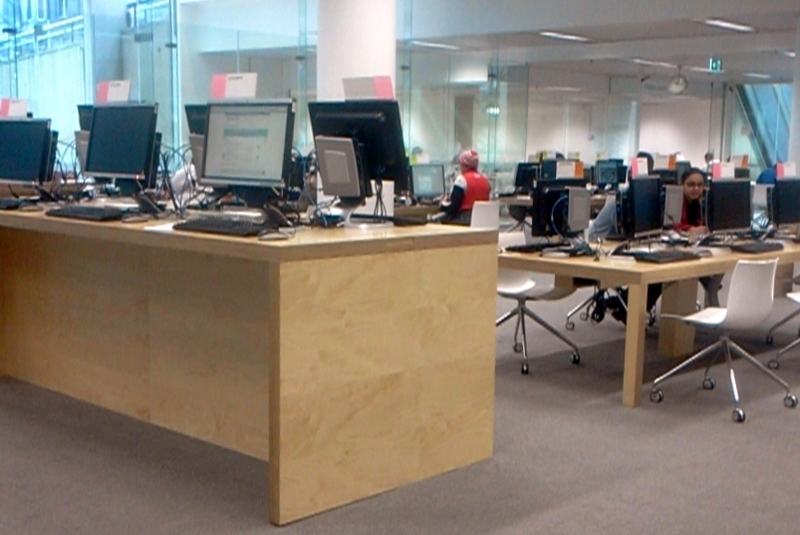 The few I took on my tablet don't do justice to the library makeover. Gone were the horrible blue lights from the toilets that made one look like a zombie and feel disoriented. There were plenty of powerpoints and free wifi at a decent speed, the new hard plastic chairs were surprisingly comfortable and there are lots of computers available. 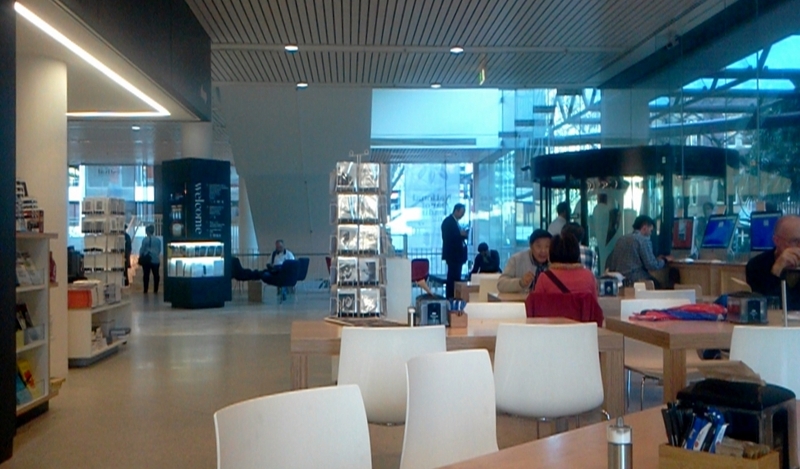 There is a new cafe on the ground floor near the library entrance where one can get a sandwich served on a plate from $5 - a bargain in the city. My fancy $7 toasted sourdough sandwich was great. The lockers have been replaced with new electronically operated ones that are accessed from a touchscreen. Mine locked on me while I was organising my things but reopening it from the touchscreen wasn't a drama. I dutifully put my large handbag in the locker but saw many people in the library with bags as big as mine. I need to check on their bag policy as I find it a nuisance having to leave some of my gear outside. As I had misplaced my library card (I have misplaced all my library and archives cards - put them in a safe place when I last went travelling - it's very safe) I enquired at the information desk; the two librarians on duty there issued me with a new one on the spot after checking my ID and relieving me of a dollar (SLNSW you could charge a bit more for this). My next stop was the family history section where I settled in for a few hours. I had a successful time there using the monographs and then the library's subscription to Findmypastau (I only have a sub to the UK version). My peace was disturbed towards the end of my visit by a student sitting near me and I was compelled to send out this tweet: Should I offer some tissues to the student sitting near me at@slnsw so he can blow his nose and stop sniffling? I sent out one other tweet while I was in the library: Tip for @slnsw staff - when in info desks please don't talk about other staff members especially when what you say isn't nice‪ #libraries‬. I am disappointed that no-one from the institution has responded to my tweet yet but maybe it is their policy to ignore cranks like me. While at the library I couldn't help hearing two staff at a service desk discuss fashion and compliment each other on their fashion sense (good for team building), they also discussed a conference (presume it was ALIA2012) but when they started talking about another person (presumably on the library staff) in a negative way I just had to tweet. I don't mind workers indulging in a bit of idle chatter on the job but they need to be aware of the fact they are in a public area and supposed to be working; they need to realise that others cannot help but hear what they are saying in the morgue like library silence. Perhaps there is a need for some ambient noise in the library. Now I have that off my chest I must congratulate whoever is responsible for the changes at SLNSW, it's looking good. I'll be back next week with my camera. 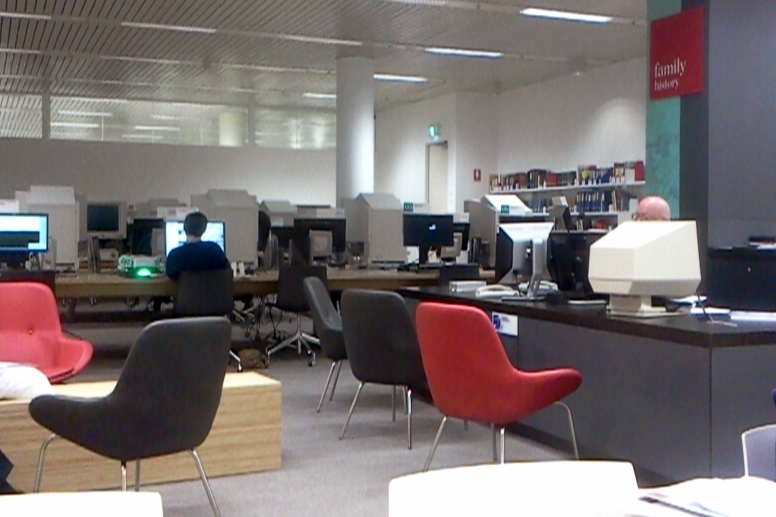 at the newly refurbished State Library of New South Wales Family History Section. Daphne Williamena Edith Gillespie would have been 92 today. I was bowled over yesterday when I heard from Jennifer Jones that she had bestowed an Illuminating Blogger Award on me. "Jill Ball at Geniaus is the person who inspired me, with her generous encouragement and support, to keep at it, when I first started blogging. I have really enjoyed joining in with her geneamemes which I found inspired me to want to broaden my knowledge of all things genealogy. Jill always keeps up with the latest technology, and I rely on her to keep me up to date." Just yesterday Randy Seaver wrote that one of the roles of the genealogist is as an evangelist. 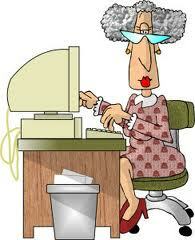 I hope that through my blogs I can in some small way be an evangelist for the use of technology in genealogy. I am thrilled to have encouraged Jennifer on her blogging journey. 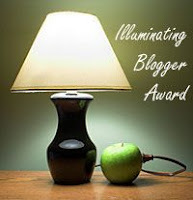 As I nominated six blogs after receiving my first Illuminating Blogger Award I will not nominate another group. My nominations are here. I will add another random fact about me. I have just started writing a personal blog. 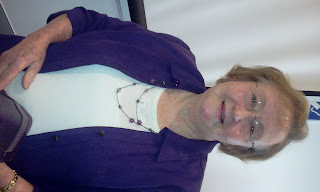 Local Author, Laurie Chater Forth, was the guest speaker at yesterday's meeting of The Hawkesbury Family History Group. I was lukewarm about attending this talk as I hadn't heard of either Laurie or her book "Margaret Catchpole – Her Life and her Letters ". And, wow, did I get a surprise? Laurie was a charming, knowledgeable and interesting speaker who, in a quiet way, demonstrated a passion for her topic "Life of Margaret Catchpole". Laurie indicated that she would not give a "chapter and verse" talk on the life of Catchpole as most people in the audience probably knew the story of her life. I had heard of Margaret Catchpole, convict, and in my life as a librarian had biographies of Catchpole on the shelves but my knowledge of this formidable woman was scant. 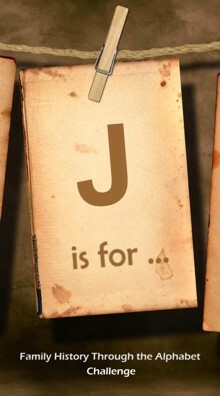 I learnt that Margaret Catchpole, a convict, nursed women and babies in the Hawkesbury area in the early 19th century, was a successsful farmer and the first reporter in the district through the reports in her eleven letters (copies of which are held in the State Library of NSW and the national Library of Australia. Joining a Local Writing Group provided Laurie with the impetus to get writing. Her journey with Margaret Catchpole started in 1999 with an article in Hawksbury Independent. Isolation separation loyalty identity crisis. In her talk Laurie outlined the research she had undertaken as she sought an answer to the question "Who was Margaret Catchpole?" There had been many books and articles written about Margaret Catchpole but, through her research, Laurie was able to prove that many of these accounts were erroneous. Laurie is hoping, in her book that she describes as "an easy read", to have given Margaret Catchpole back her genealogy." What Laurie gave me was an entertaining and illuminating talk on research methods and the life of a feisty female. Thank you, Laurie. I am looking forward to reading your book. There wasn't a drop of water in sight when I went on a very pleasant fishing trip today. After the meeting of the Hawkesbury Family History Group (and that's another fab story) I went down to the Hawkesbury Library carpark and was able to score one of the 4 hour parking spots so I moved the Bambino and went back to the library to do some fishing. What this library has is a great collection of BOOKS, not just about the Hawkesbury Region but about genealogy in New South Wales. These books are in a light and airy section of the library and are organised according to Dewey (which makes this old librarian feel immediately comfortable). Michelle Nichols, The Local Studies Librarian at Hawkesbury is to be congratulated on the breadth and quality of the collection. As this was an unplanned visit I embarked on little fishing trip. I browsed the shelves book by book. I even found a few books pertinent to my family research that are not in the collection of the National Library of Australia (Legal Deposit not working?). This trip resulted in a very tasty haul as I found mentions of direct ancestors and distant family members in some of the books in the collection. I found two titles that I must own - so now the search is on for these books. I'll be returning to Hawkesbury for another fishing trip. Whilst it is not good genealogical research practice to go on aimless fishing trips they can prove to be quite fruitful. Thanks to Australian Blogger, Kerryn from Ancestor Chaser, I have been nominated for the Illuminating Blogger Award. "Geniaus - Jill's energy and passion for technology relating to genealogy is inspirational. She shares a wealth of knowledge both in her blogs and her live tweets from genealogy events." It's words like these that make one's efforts seem worthwhile. Kerryn, I am humbled by your nomination. Blogging is something I enjoy and would do even if no-one read my posts, however, to be recognised by a peer puts some very sweet icing on the blogging cake. Desperately Seeking Surnames - Jenna Mills hails from Kansas City, Missouri. 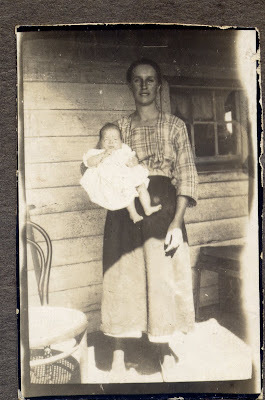 Jenna's genealogy blog has international appeal as she writes about issues that affect us all. I appreciate Jenna's candour; in her comments on issues she displays common sense; that Jenna is not afraid to put her point of view forward is to be commended. Diary of an Australian Genealogist - Shauna Hicks lectures, writes, and blogs about genealogy in Australia. In her journal style blog she shares stories of her daily life and genealogy journeys, her friendly style makes one feel that Shauna is writing a chatty letter to the individual reader. Genealogists for Families Project Blog - We care about families (past, present and future) Team leader and blogger, Judy, is an inspiration as she encourages genealogists to reach out and help families in third world countries with micro loans. Judy's enthusiasm for this project and her personal generosity know no bounds. Librarians are Go - I have known Teacher-Librarian, Stacey for many years. Since I retired from schools I have been able to monitor her progress via Social Media. Stacey, who is a leader in her field (where there some stodgy people), is an inspiration; she shares her journey through thoughtful posts on her blog. LoneTester HQ - Alona, is a young, enthusiastic blogger from South Australia who brought a youthful freshness to blogging. She deserves this nomination the effort she has put into setting up and curating the Family History through the Alphabet Challenge. A Pocket Full of Family Memories - In her blog Deb posts long, thoughtful and well-researched stories that are illustrated with fanstastic photos. Deb is a master storyteller. Post Script It seems as though I forgot to share one random thing about myself. I collect chickens: I have many china chickens, chicken dinner sets, chicken towels, aprons, placemats, coasters, soft toys, hats, serving utensils etc. I even have a chicken coop with live chickens who produce lovely fresh eggs for the family.